Would you rather use a Blackberry-style keyboard instead of Graffiti? 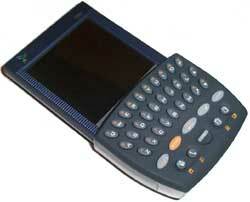 Don't want to have to buy a Treo to get an integrated keyboard? The SnapNType keyboard by TT Tech does just that by allowing any Handspring Visor (except the Visor Edge) to type away without using Graffiti. 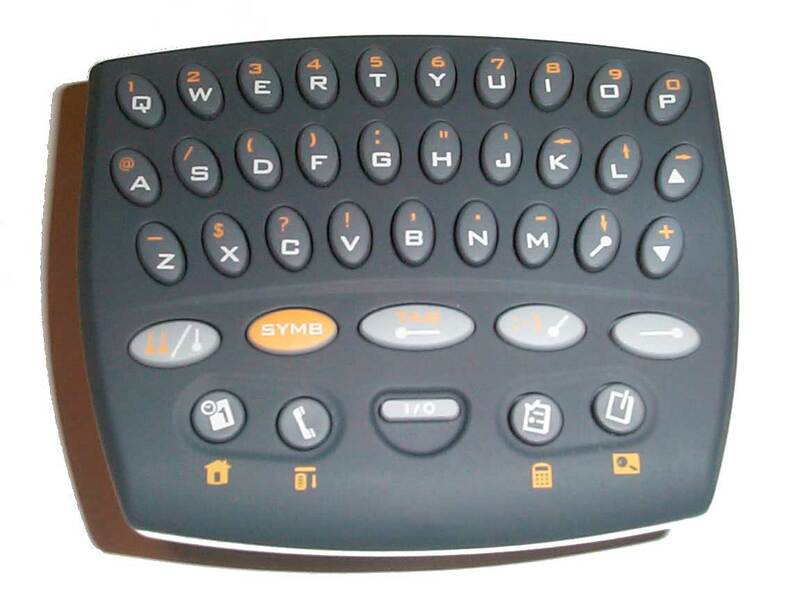 The SnapNType is a thirty-nine key QWERTY keyboard that completely covers the Visor's hardware buttons and all but a few millimeters of the silkscreen area. The face of the SnapNType is a charcoal grey while the sides and back are slightly translucent. All of the hardware buttons have specific keys and are generally where you would expect them to be, except for the up/down arrows which are to the right of the alpha keys. The letter keys are angled toward the center of the keyboard. Certain keys like space and return use the Graffiti stroke as a label. I would have rather these keys had used traditional keyboard labels instead of Graffiti as that is more intuitive for a keyboard. Shift and the command stroke also have designated keys. 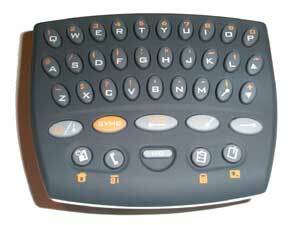 Click on the picture to see the SnapNType keyboard up close.